Please follow these instructions to download and install the software you selected. Double click the downloaded .DMG file. This will open the image in your Finder window. See below. 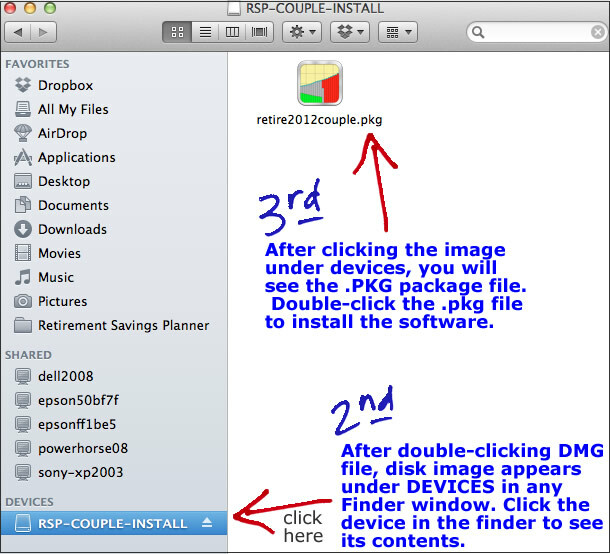 Double click the .PKG package file in the disk image. This will launch the installer which will install the program on your Mac. When the package installer is launched, you will see the screen below. Click the "Continue" button and then go through each screen to install. When installation is complete, open "Applications" in your Finder window. 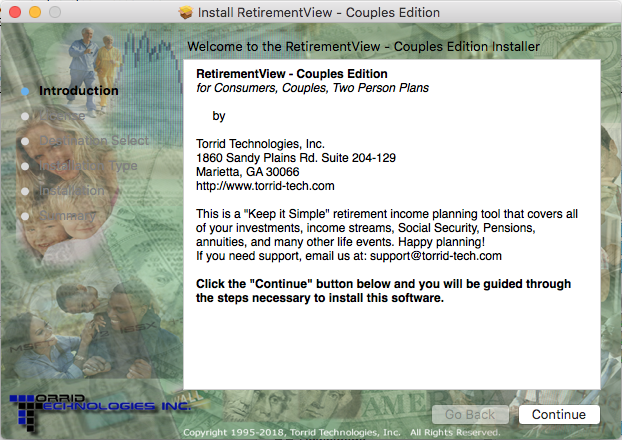 Double click the "Retirement View" icon to launch the software. If you have any issues or questions, submit a support ticket in our Support website.. Many more exciting enhancements will be coming throughout the year! Anyone who buys will get updates for ONE FULL YEAR from date of purchase. WebCalcs® Software modules can add financial planning to your website. Advanced modules can be used by financial advisors and professionals. Contact us for a free demo. If you need help downloading or installing, please email us through the LEAVE A MESSAGE button. "The program has already been a big help. I had an analysis done by a financial planner, and I have been able to closely match his numbers with your Retirement Planner. Now I can run infinite "what if's", and it won't cost me $100 each time. It has already paid for itself." "I used to spend 40 hours or more using other software to do retirement planning. They were all unnecessarily complex and the extra time added nothing to the process. With your software its quick and easy. Most important the program is completely intuitive. This program is too good to be left in a box. Everyone who tries it will want to buy and use it. It reminds me of the early version of Quickbooks!" "Thanks for your help. This is one of the easiest to use programs I've ever used. The team is to be commended for an excellent product." "It is a simple and easy to understand program." "First of all I much appreciate the quick and prompt customer service .. yours is the best I've encountered so far in terms of Internet vendors." "...one of the best retirement programs I've ever seen."  All Content Copyright © 1994-2019 Torrid Technologies, Inc. All Rights Reserved. All trademarks are trademarks of their respective owners. Quicken® is a trademark of Intuit. Windows®, Microsoft® and Money® are trademarks of Microsoft® Corporation. Mac and the Mac logo are trademarks of Apple Inc., in the U.S. and other countries.